If you’ve been following this blog for a while, you know that I am a big advocate for proper warmups and post-workout stretching. I even made a video for you to show you my favourite pre-workout off-skate warmup drill. But, sometimes you just don’t have time for an off-skate session for whatever reason, and you need to get warmed up on the track. 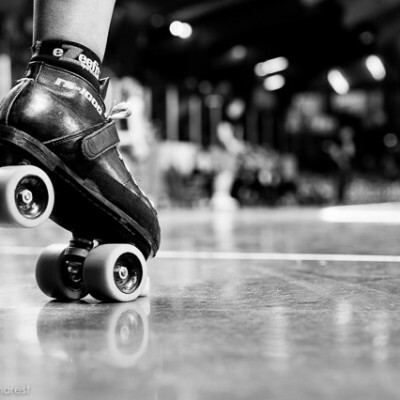 Roller Derby Athletics to the rescue! With the help of my Rollercon trainees, I was able to film my on-skate dynamic warmup routine to share with you here. The routine begins with several movements done while skating the track. Direction is not important, however I usually advocate for doing as much of your warmup in the opposite direction as possible to help even out our left turn tendencies. After this section is complete you’ll do the stationary movements. Do each movement for about 15-20 seconds. And that’s it! If you’re moving directly into scrimmaging, then I recommend running some pack or paceline contact drills first in order to get everyone’s brains and muscle memory back into a contact setting before you unleash the thunder on each other. 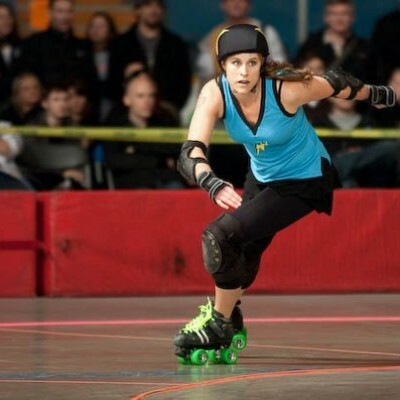 PS – a big, big thanks to the skaters at Rollercon who allowed me to film this! !